Rosters have now been updated in NBA 2K19 to reflect both the passing of the much-hyped trade deadline this season and ratings adjustments based on recent performance heading as next weekend’s All-Star Game approaches. While Anthony Davis ended up staying put in New Orleans leaving the Lakers with little to show for their efforts, the 76ers, Raptors, Bucks, and Magic all made significant acquisitions in the Eastern Conference. 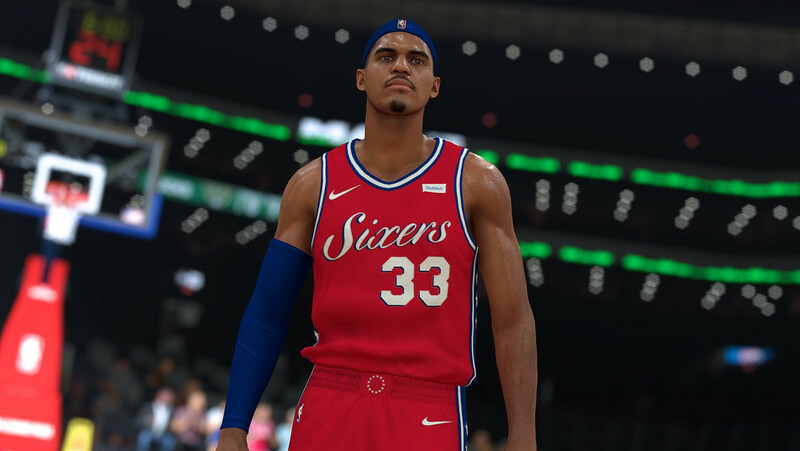 Philadelphia added All-Star snub Tobias Harris (86 Overall) to give them a formidable starting lineup, Marc Gasol (84) was sent to Toronto, East-leading Milwaukee added Nikola Mirotic (81), and Markelle Fultz (74) will get a fresh start with the Magic. Those moves and several others from this week have been made in the latest update. Additionally, the All-Star Game rosters have been made accurate to reflect the draft selections for Team Lebron and Team Giannis. Notable ratings movement includes James Harden (+1 to 97) putting him now just a point behind LeBron James, Nikola Jokic (+2 to 93), Paul George (+1 to 92), LaMarcus Aldridge (+2 to 88), Ben Simmons (+1 to 88), Kemba Walker (-1 to 88), Jimmy Butler (-1 to 88), Donovan Mitchell (+1 to 87), Nikola Vucevic: (+1 to 87), Luka Doncic (+1 to 87), D’Angelo Russell (+2 to 86), DeMar DeRozan (-3 to 86), Eric Bledsoe (+2 to 85), and Kyle Lowry (-2 to 85).